This Basque shredder is one of Europe’s most promising big wave surfers. 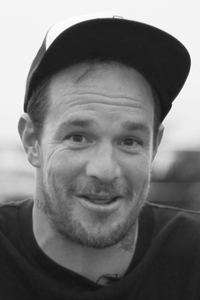 Dean “Dingo” Morrison needs no introduction – but just in case, we’ll give you a quick rundown. 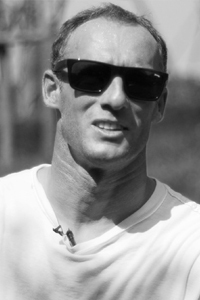 He was born in Coolangatta in 1980, became housemate to World Champ Wayne “Rabbit” Bartholomew by the age of 15, was a CT competitor by 2002 and transitioned into big wave surfing by 2012. Now, in his mid-thirties, he continues to chase swells around the world – reaping the rewards, but also copping the beatings. One wave he has a very close relationship with is Pe'ahi, aka Jaws– which, in case you hadn’t noticed, has already provided some of the biggest swells of the Hawaiian winter. Back in 2016, Dingo took quite a beating – one that earnt him entry into the Wipeout of the Year Awards. 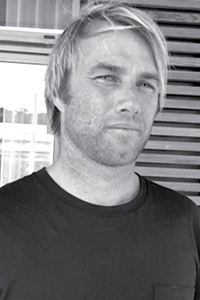 Koby Abberton (born 2 June 1979 in Maroubra, New South Wales), an Australian former professional surfer, is a member of the Australian surf gang, the Bra Boys. 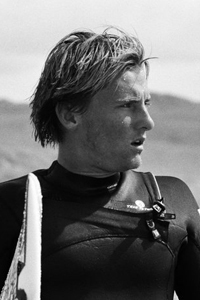 In November 2010, Abberton was announced as one of 24 alternates to the 26th Annual The Eddie at Waimea Bay, Hawaii. Gray, 32, was born and raised in Torrance, CA. 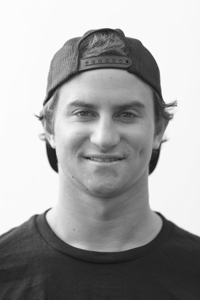 When he was just 10 years old, his brother and role model, Chris, took him surfing and he has surfed since. He says after that first wave, he never wanted to do anything else and to make a career out of it was his immediate dream. 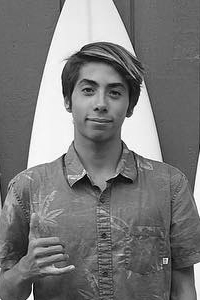 A few years later, at just 12 years old, he was approached by Volcom and Body Glove to represent their brands. In 2014, he was announced as one of 24 alternates to the Annual The Eddie big wave competition. 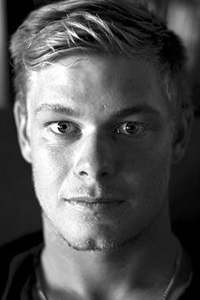 Surf pro-Jamie Sterling is a big wave champion who hails from the North Shore of Oahu. 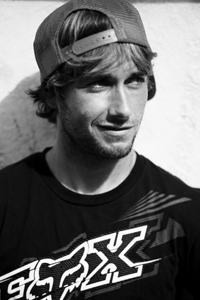 He began surfing at the early age of five and is one of the few people in the world who conquers 50-foot waves. He has forged a successful career of chasing waves of consequence all over the globe. 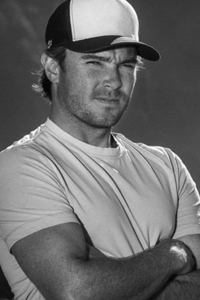 As a consummate professional, his life is encompassed in the pursuit of preparedness, health, fitness, and knowledge of the crafts he uses to navigate such death-defying surfing conditions. Sterling is also a staunch advocate of yoga, which he integrates into his everyday life in conjunction with CrossFit and a healthy nutritional plan. From his early years as an Ocean Lifeguard in Southern California, having an educated approach to the conditions at hand has been the foundation of his big wave career. Sterling has accomplished impressive finishes at numerous events on the Big Wave World Tour, where he has proven that he is well equipped to be a perennial contender to be the best in the world. Consequently, Sterling has become a regular fixture at the world’s heaviest locales like Cortez Bank, Jaws, Mavericks, Dungeons, Teahupoo, Todos Santos, Chile’s El Buey and El Bajo. 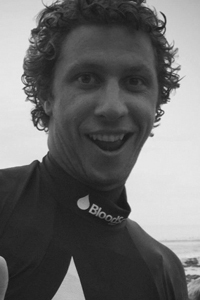 Sterling is the 2006 Billabong XXL Performer of the Year, placed 3rd in the Mavericks Invitational in 2008, was the Pico Alto Invitational Peru Champ in 2010, is the 2011 Big Wave World Tour Champion, and was invited to the 2014 Quiksilver in Memory of Eddie Aikau Big Wave Invitational event, as well as the 2015 Titans of Mavericks Invitational. 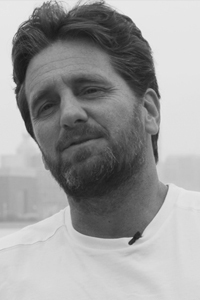 João Simonsen is the legendary surfer of Brazil. He started surfing when he was 4 years old and now he is 52. 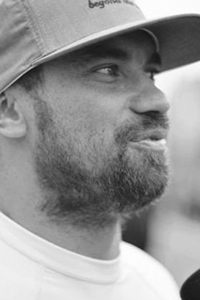 As the big wave navigator of Brazil, João was the first Brazilian riding on JAWS in Hawaii. He traveled through out the world to catch the famous wave spots in the United States, Indonesia, South Africa and Australia. Born and raised in Maresias, one of the best surfing beaches in Brasil, where he leared to surf. As a gromet he was part of the local surf team to compete in the state championship. His good performance earned him a scholarship in Fisical Educationat the INUMONTE University. Since 2010 he is teaching surf for chindren and adolescentson a social Project in his neighborhood. 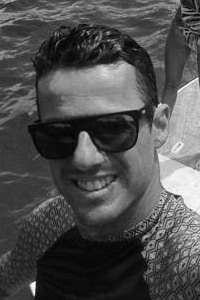 He is part of surf judging techincal comitee of the regional championships, as vice-president of Maresias Surf Association and embassador/contributor to North Shore Riders surf school in Maresias. 2012 - Regional Longboard Champion. A world class rated surfer, Shaun Payne, who started surfing at age 9, recently beat out his brother for a spot on the Billabong Pro World Tour event in Jeffrey’s Bay. Shaun and Ryan Payne went head-to-head in a dramatic finals showdown. Nothing would be left in the tank. After several lead changes, the younger Shaun broke Ryan’s stranglehold on the title, with Ryan having won both events in the past. Having grown up in St. Francis Bay on the East coast of South Africa, Dale Staples (26) was practically destined to become a pro surfer. Even after travelling the world, he still prefers surfing in his homeland. Hello. My name is Charly Quivront, some people call me le Chat. I would best describe my hometown as a good place to rest and see friends. I've traveled quite a bit, but by far the best place I've been is Hawaii, because it's warm and there is fun waves everyday. 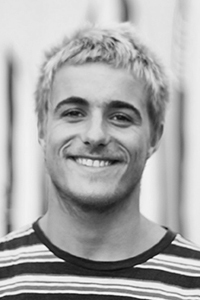 Romain Lauihe is the pro surfer of France. CC is one of the best Chinese surfers. She started learning surfing in 2013. She attend the Silver Dragon Shoot out in 2015 with a good performance. In the same year, she participated in the Australian Gold Coast World Surf Tour and was selected to the Chinese National Surfing Team. Wolf is one of the best Chinese surfers. 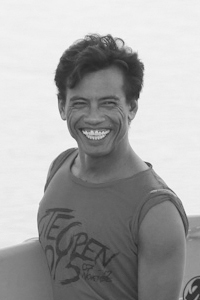 The first time Indonesian surf champion Tipi Jabrik stepped into the sea was back in 1982, when he was just 5 years old. Since that day, Tipi has always had at least one foot in the ocean. 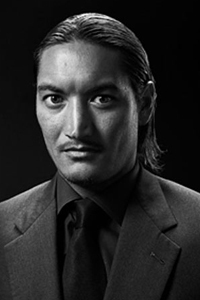 He has been one of Indonesia’s most prominent professional surfers for the last 17 years and in that time he has won many prestigious surf competitions such as the Japan CHP International Challenge and served as the CEO of the Indonesia Surfing Championship (ISC) association. 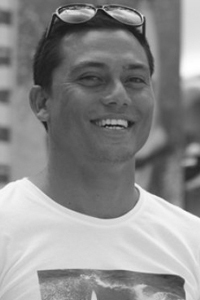 Many consider him instrumental in defining and promoting Indonesia’s burgeoning surf industry. Pepen Hendrik is one of the most powerful surfers in Indonesia, charges on every wave he catches and is given priority at every spot he’s at! The local Kuta boy was introduced to surfing quite late, he started around the age of 14 at Kuta Reef, finding passion in the sport he never stopped since then… throughout the years he developed a unique stance and style, resulting in great contest results and a leading position in Rip Curl Indonesia’s Surf team. In Indonesia he is known as a “Legend”, no matter where or when, he is respected out in the water and is given priority of most waves… Which is Pretty amazing!